This is a page designed to offer various critiques and answers to the arguments offered up by opponents of Christianity. I will be adding more names to the list. If you have a specific skeptic that you think should be included or an excellent response to one already on the list, please let me know via the comments. Taming Bible "Discrepancies" by Rachel D. Ramer- This article will aid readers in understanding Barker's brand of Bible reading. Richard Carrier vs. William Lane Craig Audio Debate- This debate says a lot! Debate Audio: William Lane Craig vs. Sam Harris debate, "Is God Good?" Here, Craig decimates Harris' thesis in his book The Moral Landscape. Debate Video: John Loftus v. Abdu Murray- Was Jesus Raised from the Dead? In my opinion, Lowder is a top notch defender of metaphysical naturalism. He is fair-minded and rigorous in his arguments. Even as a Christian theist, I have found his work personally challenging and helpful. Debate Video: Jeff Lowder vs. Frank Turek- What Better Explains Reality: Naturalism or Theism? My review is included. 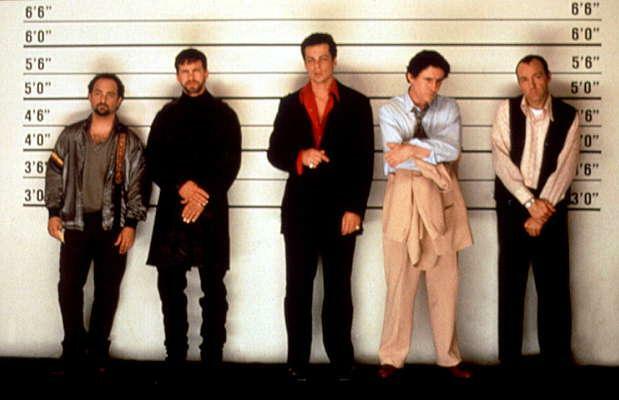 Note to Readers: The use of the film The Usual Suspects is simply for creative fun! This is not meant to imply anything about skeptics themselves. Thank you for taking the time to comment and for your great ministry! Crossan is one I was planning on adding, but I had forgotten about Borg. Wow, this is quite helpful. Thanks a lot! is down, could you please fix it? yea, I'm in the same boat as Shelby, I would like to see Borg and Crossan on there as well. other than that, thank you very much Chad, this is some great resources! These resources will definitely help out with potential conversations with some family members who are not believers. Appreciate you putting this out here in one spot!! Thank you everybody for your helpful suggestions! I fixed the link to Doug Wilson's chapter by chapter review of Hitch's God is not Great. The format is a little strange, but it's there. Further, regarding Borg and Crossan, I am thinking of adding a section that deals with the Jesus Seminar in general. It seems that most the refutations and rebuttals of their works that I am finding are under that label. Thank all of you again! Thanks guys this is going to be very helpful. Do you know where I can get some information on the dating of the gospels? I have read a few articles of guys claiming that even some liberals agree with conservative scholar Wenham on the dating of Matthew at about 46Ad. Do you know who they are? I added sections for the Jesus Seminar and Michael Shermer. A recent article I've checked out that could help is Recent Perspectives on the Reliability of the Gospels by Dr. Gary Habermas. I do not. If I run across anything in the near future that might be helpful I'll be sure to post it here!